Lionfish (Pterois volitans and P. miles) are an invasive species that have a potential negative impact on native wildlife and habitat. The Florida Fish and Wildlife Conservation Commission (FWC) encourages divers, anglers, and commercial harvesters to remove lionfish in Florida waters to limit negative impacts to native marine life and ecosystems. 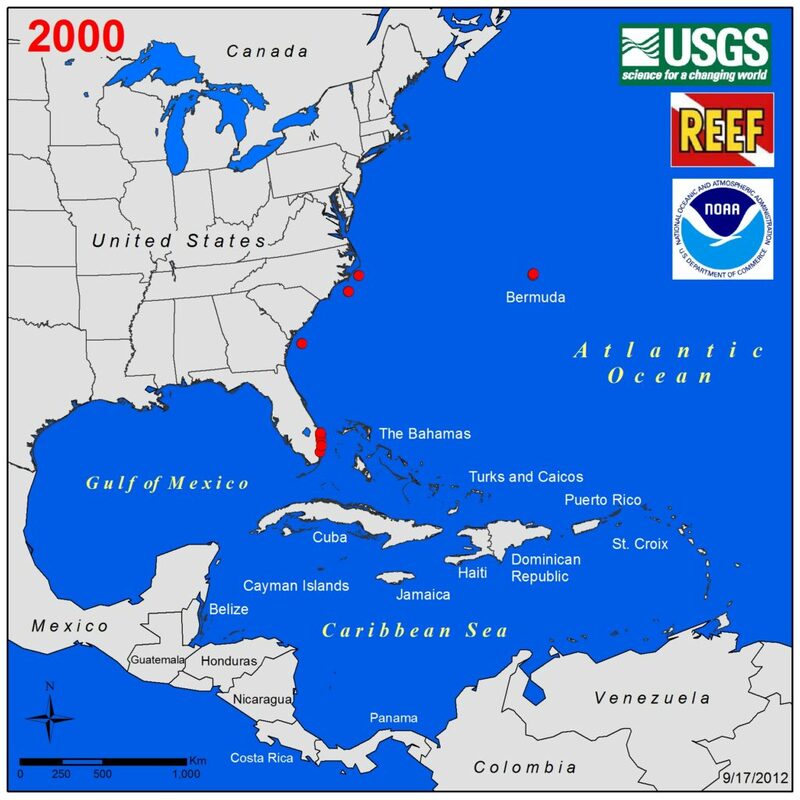 Learn more about invasive lionfish. A recreational fishing license is not required for recreational fishers targeting lionfish while using a polespear, Hawaiian sling, handheld net, or any other spearing deveice that is specifically designed for lionfish. 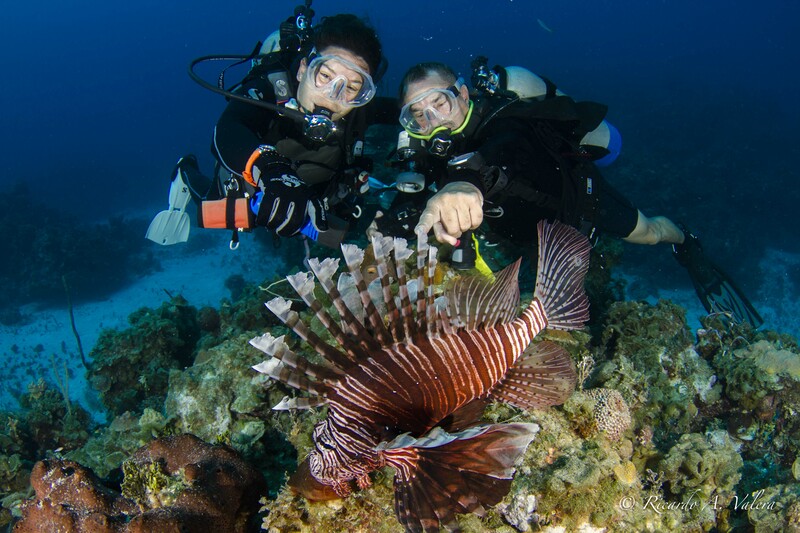 A recreational fishing license is required (unless exempt) for all other methods of harvesting lionfish, including hook and line and spearguns. Purchase your recreational saltwater fishing license today! The sale of commercially harvested lionfish requires a Saltwater Products License. The invasive Indo-Pacific lionfish were first reported offshore Broward County, Florida in 1985 and are now well established in the western Atlantic Ocean, Caribbean Sea, and Gulf of Mexico. The FWC was one of the lead organizations to act by initiating procedures to evaluate the extent of the invasion, developing outreach and awareness messaging, removing potential regulatory barriers to removal, supporting control efforts, and implementing removal incentive programs. The FWC lionfish program was created within the Division of Marine Fisheries Management in 2014 and has grown significantly in four years. 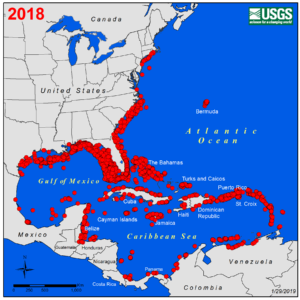 The FWC will minimize the adverse impacts of lionfish in Florida through prevention, detection, and control by applying agency resources; providing leadership through guidance, planning, and coordination; and empowering stakeholders and partners. The FWC Lionfish Program manages state policy and regulations; hosts outreach, education, and control programs; and supports research to improve removal efforts and management. Contact Lionfish@MyFWC.com to request a copy of FWC’s Lionfish Program Overview from 2014-2018. 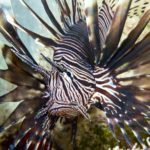 Why are lionfish successful invaders? Lionfish are the worst marine invasion to date. 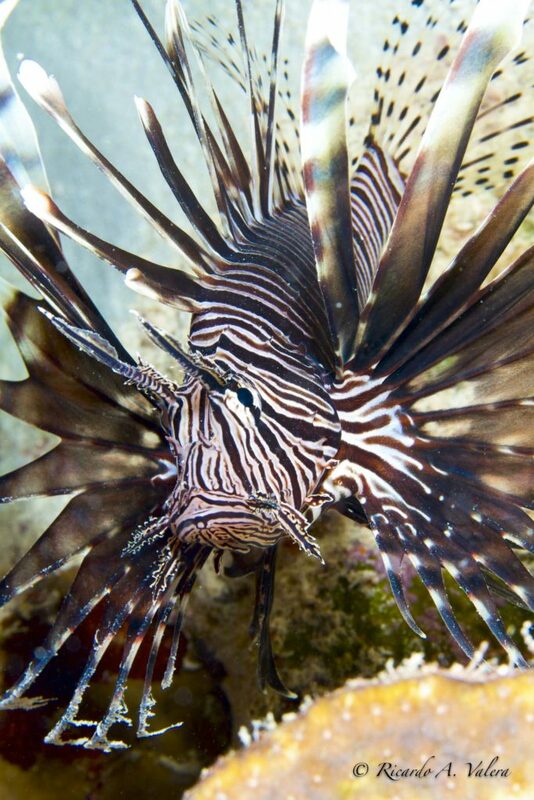 Reasons why lionfish are the perfect invader: 18 venomous spines; absence of natural predators; high reproductive output; voracious appetite; and wide range of temperature, salinity, and depth tolerances.